At a recent farmers market in Newcastle I impulse bought some diced rabbit to try and it has been sat in my freezer for weeks waiting for me to decide what to make with it. 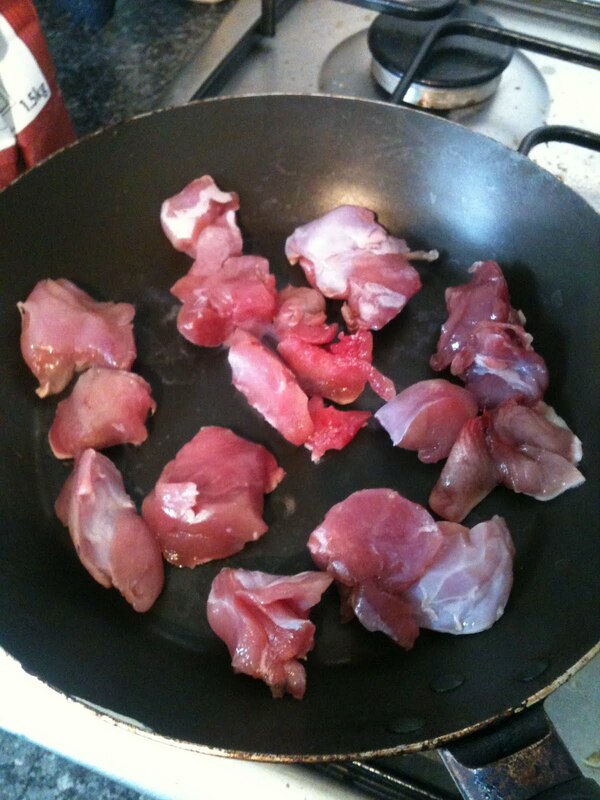 I have never even eaten rabbit let alone cooked with it so I was a little scared of getting it all wrong. I posted on Kitchen Bitching asking for help, I turned to twitter for advice and spoke to all my foodie friends to see what they would do with it. I got some wonderful advice and ideas but in the end I just decided to go for it and stop worrying so much. I started off by frying off the rabbit slightly, literally for a minute, as I was slow cooking it and didn't want it to just break apart and be lost in the stock. 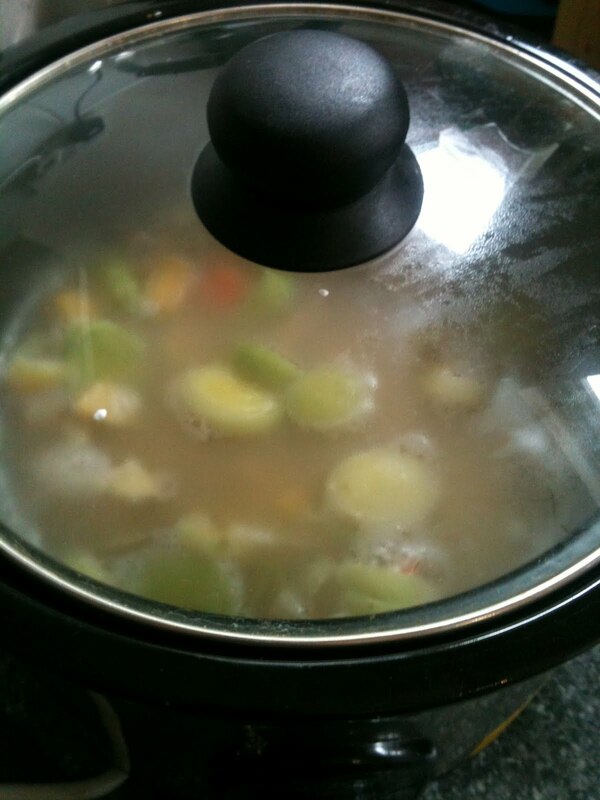 I then chucked in some diced root vegetables, chicken stock, salt, pepper and a dash of mustard. I then slow cooked it for about 4-5 hours. I then turned off the slow cooker and let it cool for a while before adding a couple of tablespoons of double cream, to add a bit of richness (you could leave this out). I also thickened it with some cornflour and water. 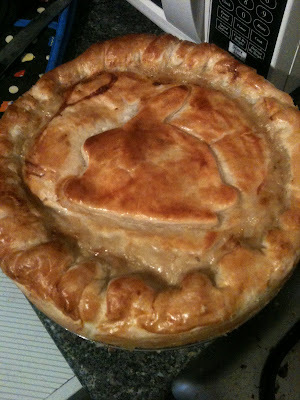 Now, I am going to be honest and admit I used pre-made pastry. I had a chunk of Jus-roll puff pastry in the freezer so just used that, it was a bank holiday and I was in lazy-girl mode. 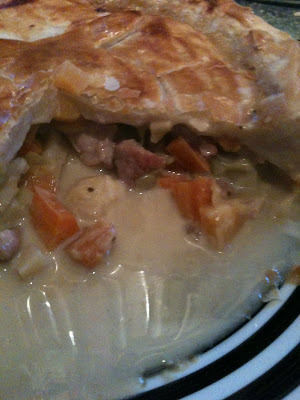 The finished pie was flaky and golden on the outside, rich and creamy in the middle and completely mouth-wateringly delicious! I have to say I enjoyed the rabbit, it reminded me of pork a little but with a stronger flavour. 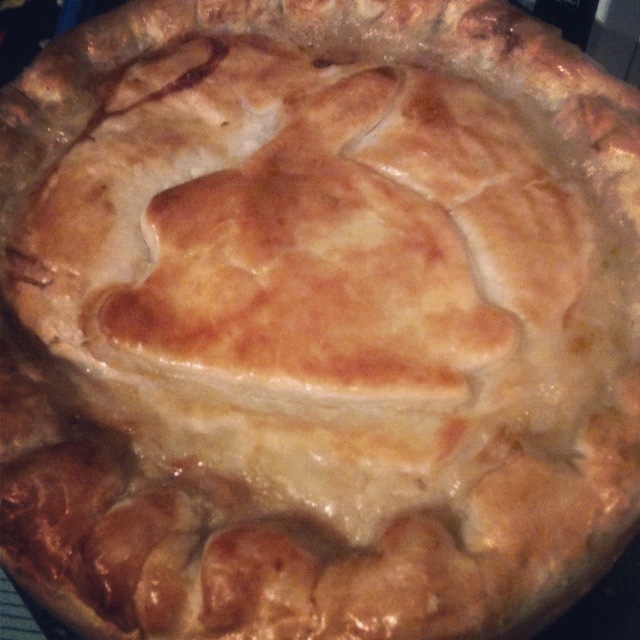 I would like to experiment with rabbit some more in stews and I think it added a really lovely dimension to the stew/ pie filling. I've enjoyed rabbit in France several times however I've always been disappointed when I've cooked it myself at home. I have bought whole rabbits from the farmer's market and it's always ended up being very tough. But I know done properly it has a great flavour. No shame in buying puff pastry! I haven't made my own since 1989! !